Taking the proper care of the trees on your property may seem like a pretty straightforward thing for you. While most trees are capable of caring for themselves at most times, there are going to be times where they are in need of your assistance if you want to keep them healthy. Trees can easily become overgrown, and this not only threatens their healthy existence but can become a safety hazard for you, your family, your home, and your property. At a time like this, you should consider using us at Your Way Tree Service Inc. for our expert service in tree trimming in Brentwood. When you enlist our help at Your Way Tree Service Inc., you will get the assistance of a service that is fully licensed, bonded, and insured to do this type of work. We have been in the tree service industry for over ten years and have worked with hundreds of residential and commercial customers over that time, providing them with the quality services they need for their properties. All of our technicians are highly trained and experienced and make use of the best tools and equipment available for any job. We ensure every project that we work on with our liability insurance and are happy to provide you with proof of coverage and certificates so that you can have the peace of mind you need while we are at work. 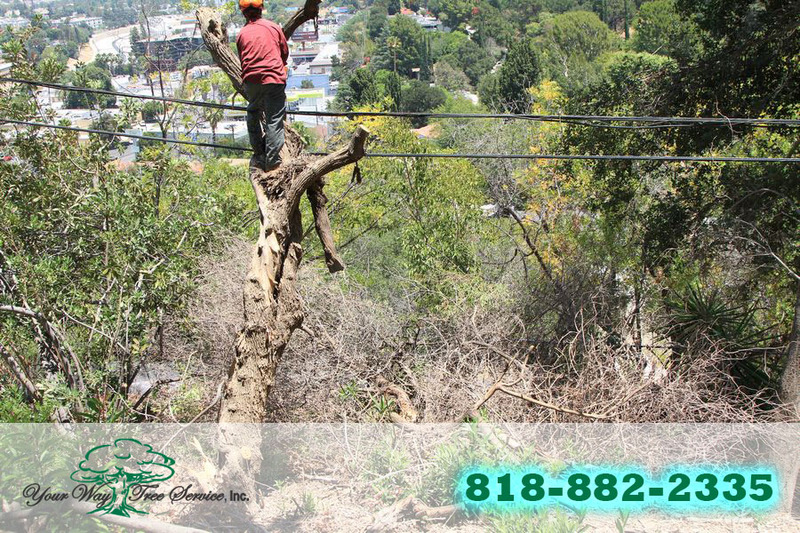 You can be sure that when we are performing tree trimming in Brentwood at your residence, that we always have safety as our top priority. We always make sure to have the appropriate number of employees on-site at every job to make sure trimming services get performed the correct way and in the safest manner possible. We work diligently to trim your trees to remove any potentially hazardous limbs and will make sure that we leave your trees looking their best and in the healthiest condition possible. 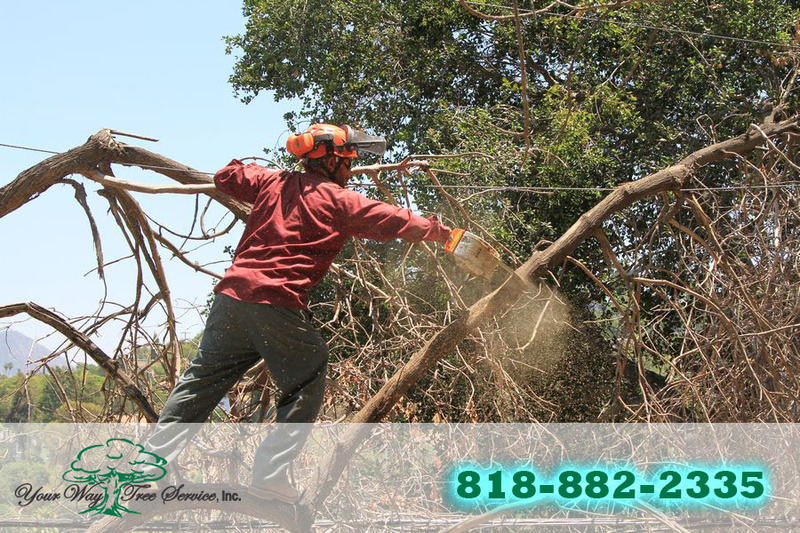 If you would like to learn more about our tree trimming in Brentwood or the other tree services that we have available, please take the time to call us at Your Way Tree Service Inc. at 818-882-2335. Our office will be glad to set up an appointment so that we may come to your home, learn about your particular needs for service and take the proper care of your trees so that your property will look its best.